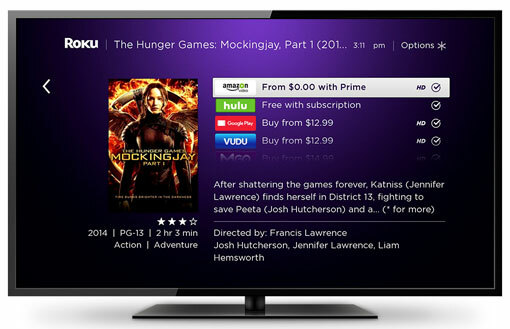 Google Chromecast, Apple TV, Amazon Fire TV – Roku’s streaming media products have plenty of competition. But Roku has surged to the front of the pack again with an updated version of its Streaming Stick. The new streaming stick solves what had been its biggest drawback – lack of responsiveness – with a quad core processor, a first for this type of device. The resulting 8x processing boost (compared to Roku's original Streaming Stick) makes the Stick boot faster, cover graphics for TV shows and movies show up faster, scrolling smoother at different speeds and movies start sooner. Like the Roku box, you can operate the Stick via an included remote control or the smartphone/tablet app, which gives you voice control and search capabilities. Unlike the Roku box, or any other streaming box or stick, you can listen to movies and TV shows streamed through the stick privately. You can plug headphones into the Roku remote or your smartphone running the Roku app, or even use your Bluetooth headphones. The Roku Streaming Stick comes loaded with Roku OS 7.1, which has great convenience features. For instance, Hotel and Dorm Connect allows you to connect to Wi-Fi networks in hotel rooms, college dorms or other public locations that require sign-in through a Web browser. And the enhanced search function looks at listings on the top 30 streaming services to surface results on services you subscribe to first. Like all streaming sticks, you plug the Roku Streaming Stick into one of your HDTV's available HDMI jacks. Resolution is Full HD 1080p (you’ll need a Roku 4 for 4K streaming). And to ensure the best possible stream, the new stick, like its predecessor, receives its signal via dual band MIMO (multiple-input and multiple-output). This enhances its a/g/b/n Wi-Fi, which should be plenty for 1080 video. However, it doesn’t support the latest and fastest version of Wi-Fi, 802.11 AC. You can power the Stick via the included USB cable – from its microUSB jack to a full USB jack on your TV. If your TV doesn't offer powered USB jacks, you can use the included AC jack. 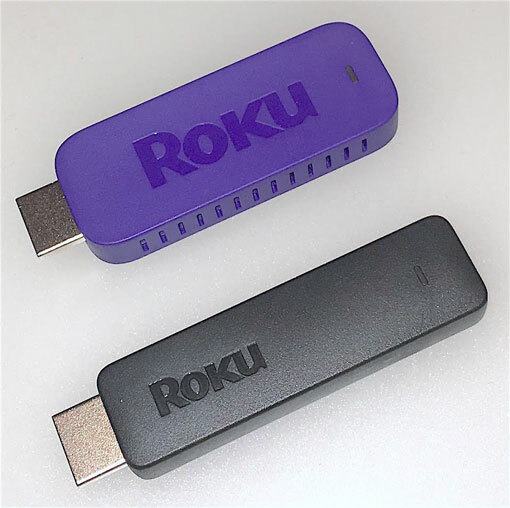 The Roku Streaming Stick is available for pre-order today on the company's Web site and will ship in a couple of weeks.